Hi! 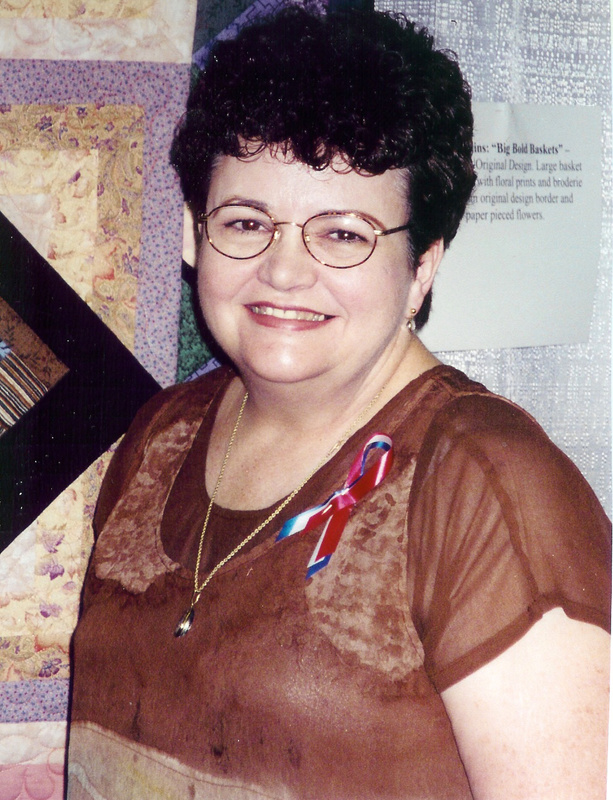 I am a southeast Texas quilter who has been quilting since 1986 and teaching quilting since 1988. I love to try new things and then share what I know with others. You will find many varied techniques among the lectures, workshops, patterns and quilts. Hope you find something to inspire you! I am interested in lecturing and teaching quilting classes to share my love of quilting and to inspire and learn from other quilters, and to keep quilting “thriving” in today’s world through the use of up-to-date methods. I love to machine piece, hand appliqué, and hand quilt, but I also do and teach machine appliqué and machine quilting. In fact, almost everything I do and teach is related to the sewing machine - my favorite tool! I live in Port Neches, Texas (90 miles east of Houston). I have a degree in Chemistry and retired as Superintendent of Quality Services at Huntsman Corp. in Jefferson County. My husband is patient with my love of quilting - as I am with his interests. I began quilting in 1984. I have been a member of the Golden Triangle Quilt Guild in Beaumont, Tx. since 1985 and have served the guild as President, Vice President, Retreat chairman, Newsletter Editor, Style Show chairman, Quilt Show chairman, and Auction chairman at various times. I am a member of four bees in our guild. One of those, the “Blockheads”, made the 1993 Houston donation quilt - a “Baltimore style” appliqué quilt. 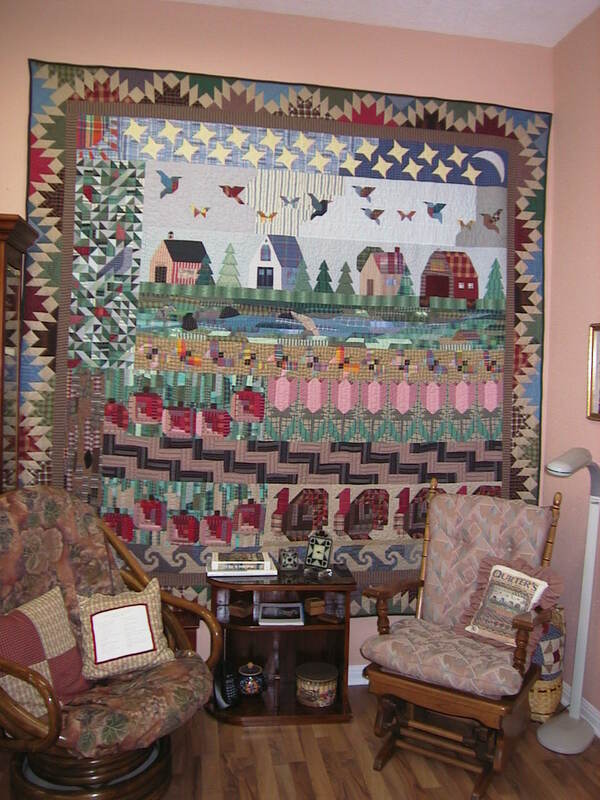 I began to teach piecing classes along with basic quilting instructions in 1986. I have designed, written, and illustrated the instructional material for the quilts I teach. Most of the quilts I teach are original designs – or utilize traditional designs in an innovative way; others are traditional quilt designs or adaptations of traditional quilts. I love sharing things I have learned from others as well as teaching ways I have developed to make quilting simpler, easier, and more joyful. I have taught extensively in Texas and Louisiana and some in other states. I teach at least one class a month in my area. Now that I am retired from my “day job” I hope to extend my area of contact in the quilting world. Because I love to try everything that comes out and want to do everything I see, I will never be known for any one technique - although paper piecing is becoming more predominant in my instructional materials. The one thing that is quickly recognized in my work is my love of the use of plaids and stripes in quilting. 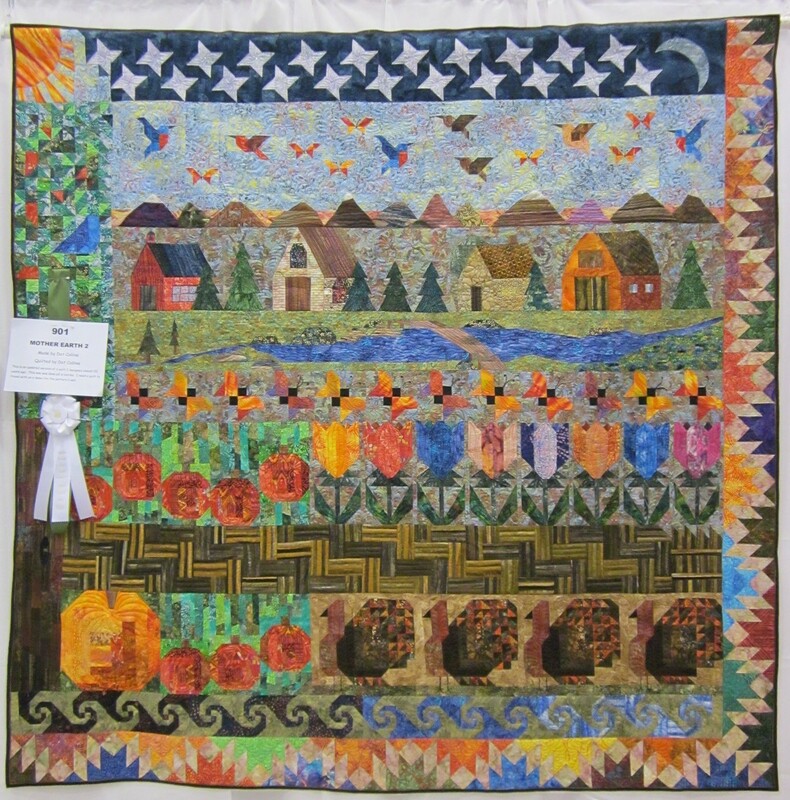 One of my quilts that is done using all plaids won an honorable mention ribbon at the Paducah Quilt Show and a judges choice ribbon at the Houston Quilt Festival in 1994. It was featured on the cover of the October 1995 Quilters Newsletter Magazine and it was the November page in the 1996 Lang Quilt calendar and in three other quilt magazines. The name of that quilt is “Mother Earth”. Besides teaching it several times locally (it requires 6 -10 classes to cover the quilt), I have sent out instructions to over 600 quilters on a mail-order basis (quilt shown below on the wall in my studio). I recently did an updated version of the quilt and am sharing pictures of both. Quilting is my passion and quilters are wonderful friends. I believe that everyone who wants to make a quilt can do so. It is the “simplest” sewing we can do - short straight lines, quarter inch seams - but the most intriguing - and fun. An opportunity to share my love and enthusiasm with you and your group is something to which I look forward. Send mail to dotcollins@gt.rr.com with questions or comments about this web site.